I was fortunate to attend a fascinating talk a few weeks ago, hosted by Centre for Inquiry Ottawa and given by Professor Gordon Davis, the chair of the Philosophy Department at Carleton University. The talk was intended to celebrate the contributions of David Hume to science, skepticism and secularism during the year that marked the 30oth anniversary of his birth. Prof Davis gave a really fascinating, off-the-top-of-his-head summary of what he felt were the most important and most influential (not necessarily the same thing) contributions that Hume made. The entire talk was informative, especially for someone as philosophically illiterate as myself. 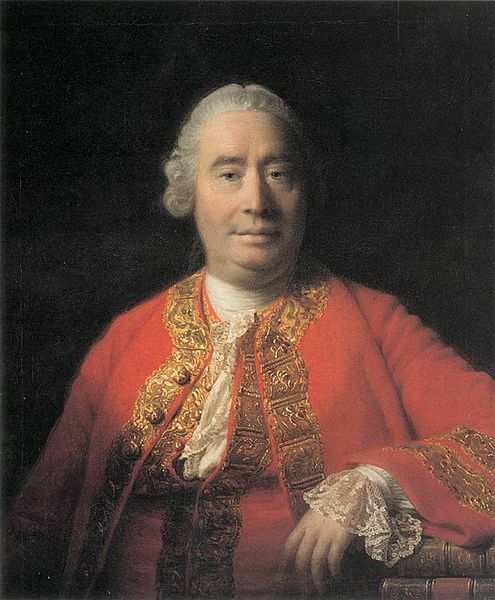 However, one point that he made (while stating clearly that it was a questionable, though interesting, interpretation of Hume’s work) concerned Hume’s view of the self and how this can feed into the development of morals. You see, Hume did not believe that morality could be measured against an objective standard. Although he was not a relativist, he considered morals to be the product of emotions rather than rational thought. Despite this, Hume was a “good man” (without going in to too much of a dissection of the man’s character, he is generally considered to have behaved respectably when those around him did not) and furthermore he encouraged others to do the same. These appear to be two contradictory positions: (i) that there are no objective morals, and (ii) that people should seek to live morally virtuous lives.